Pinecone Research | New Openings! See if you Qualify! Home / Freebies / Free Stuff Online / Survey Companies / Pinecone Research | New Openings! See if you Qualify! 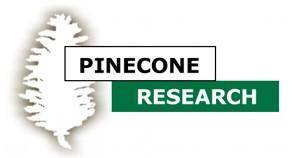 Pinecone Research has opened up some additional application openings. Be sure to head over today to see if you qualify! If you complete the signup form online and qualify, you will immediately receive an email invitation containing a link, ID and password to complete the full registration process. Then you can start taking surveys and earning some extra money from home. Just use this link and answer a couple quick quesstions to see if you qualify for their current openings. Pinecone Research is one of my favorite survey companies, and they don’t have openings all the time, so it’s important to apply while they do. Even if you have been turned down in the past, they may have new openings that fit your age and other criteria that they didn’t before. Turbo Tax | File Your Federal Taxes Online for FREE!